MOTIVATED SELLERS! Inventory is LOW..bring us your offer! 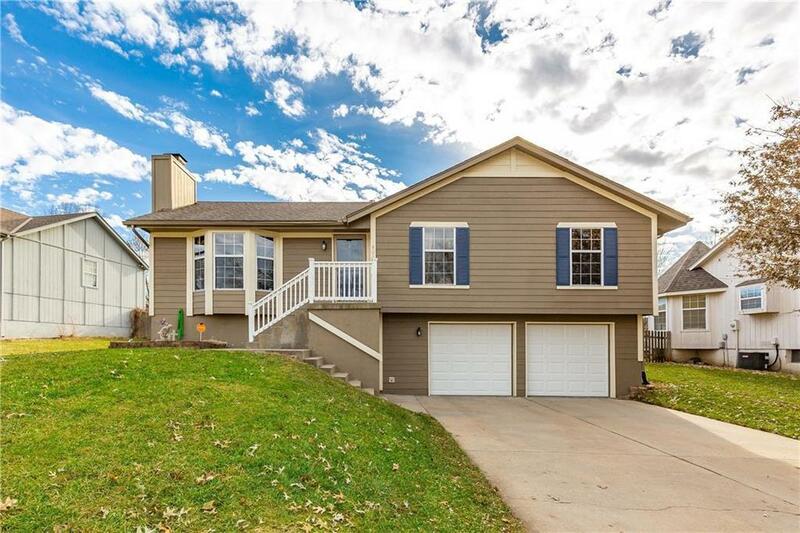 This move in ready home w/ brand new garage doors is located in desirable Cheyenne Estates in Greenwood MO. Very well maintained Raised Ranch sits in a Cul-De-Sac w/ a Huge, Fenched, and Flat back yard! Enjoy the Vaulted Ceilings in the Living Room & Hardwood floors & cabinets in the Kitchen. MB has a large Walk-In closet and Skylight. The Master Bath boasts a second closet and tile shower. LL offers lg. fin. fam rm, huge backyard w/custom Granite Firepit. Directions: South 291 Hwy to 150 Hwy. East to Greenwood. South on 20th Ave to Cheyenne Court. Left on Cheyenne Court to home on the Right.